Trigger warning: If you love night photography but don’t currently own a Sony camera, the following information may cause you feelings of strong envy, jealousy, or even frustration with your current camera system. The function I am referring to is called bright monitoring. It’s basically like having night vision on your (Sony) camera. With the touch of a single button, the camera shows off the light gathering capabilities of Sony’s monster low-light sensors and renders a live preview of your composition that is so bright you can actually see the core of the Milky Way in real time! That’s right, bright monitoring allows you to find your composition without the need for taking tedious and time consuming test shots. Just think about that for a minute. Have you ever tried night shooting in the dead of winter when the cold temperatures make you want to crawl back into bed and wrap yourself in a hot water bottle to stay warm? Or maybe you have been out shooting with only a small window of clear skies before the clouds roll back in? Either way, being able to find your composition quickly, and without fumbling around with your headlamp is a game changer for any night photographer. 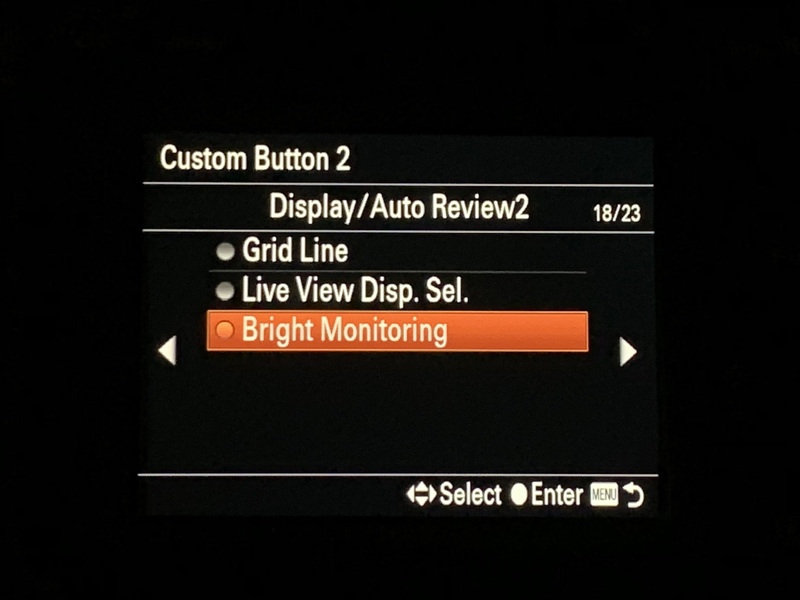 To activate bright monitoring, you must first assign it to a custom button. 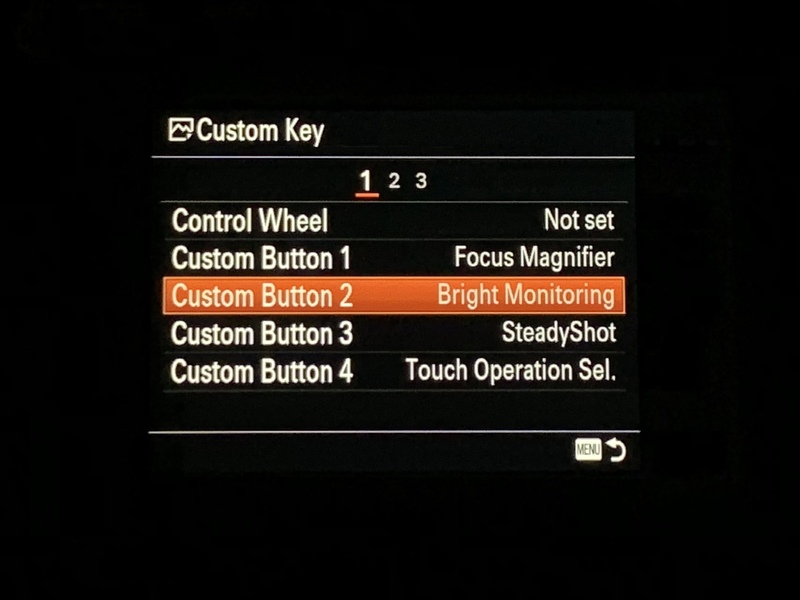 I like to assign bright monitoring to the C2 button on top of the camera, but you can assign it to any button that makes sense for the way you shoot. 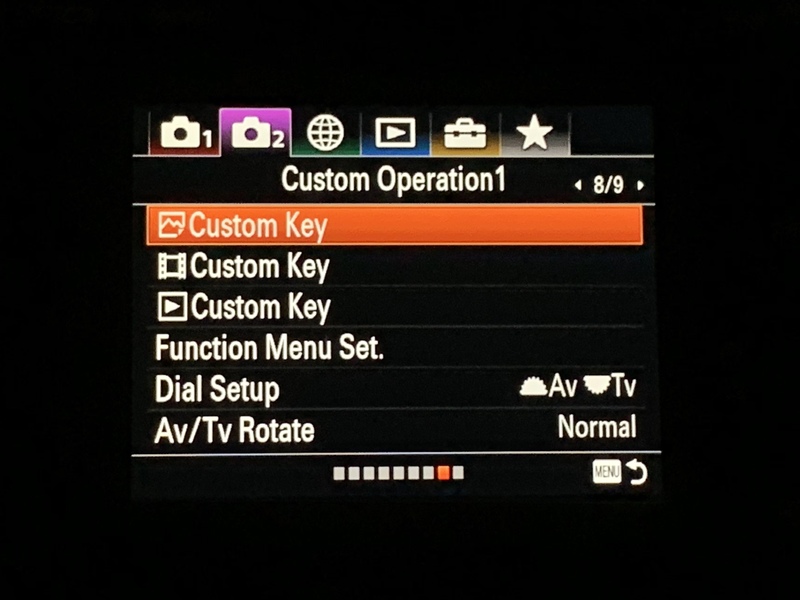 To set it up, go to the second camera tab, page 8/9 and select custom key (by pressing the center button on the wheel). Next, select the button from the drop down list that you would like to assign it to. I chose custom button 2. Finally, you will find Bright Monitoring on page 18/23. Select it (again by pressing the center button on the wheel). If you have any questions about how to set this up on your own camera, you can contact me using the contact form below.